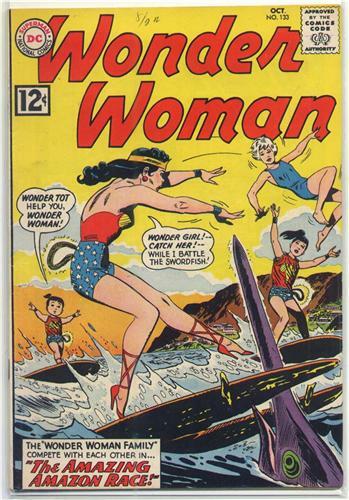 Featuring Wonder Girl and Wonder Tot. VG : subscription date in pen front cover, price penciled on back cover, moderate handling & spine roll, overall very nice. Complete, tight to staples, good gloss, tan pages with fairly sharp corners. Image of actual item shown. Bagged & boarded.